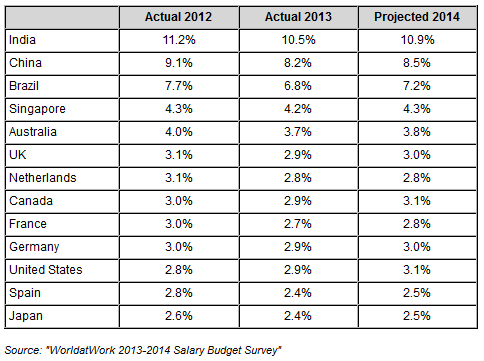 Companies across the nation should expect the labour market to tighten slightly next year: salaries for 2014 look like they will inch up on 2013 by about 3%. The average projected increase in companies’ salary budgets was 3%, slightly higher than the 2.9% this year and 2012's 2.8% (as measured by Sibson Consulting). “As long as organizations maintain confidence in their financial forecasts and there is general stability in the global economy, this trend [of increasing salaries] is likely to continue," Sibson Consulting's Jason Adwin said, adding that the only way salary increase forecasts could be derailed would be by concerns over the economy lingering longer than expected, government-influenced instability (eg future government shutdowns), uncertainty regarding tax policy, and continued high unemployment. The Sibson results line up with a July study that compiled salary budget data from 16 nations and predicted a 3.1% increase for the US. The WorldatWork analysis also found that, internationally, Indian and Chinese companies are planning for the biggest salary increases – 10.9% and 8.5% respectively. Even in countries with slower salary growth, it is clearly important for HR departments to demonstrate other ways of rewarding and retaining staff. 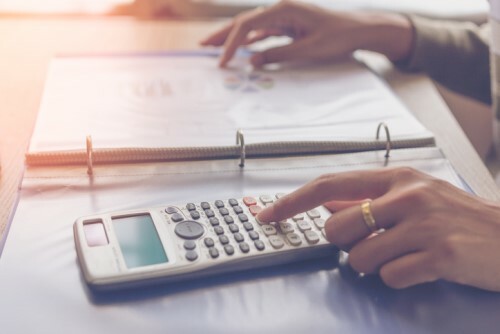 "Organizations continue to be challenged in finding meaningful ways beyond 3% raises to reward talent," said WorldatWork's senior compensation practice leader, Kerry Chou.